WUKY’s Strategic News Plan articulates the following goals: “Dominate the Central Kentucky radio news landscape with coverage unmatched in the Lexington market. Make WUKY the source for news and information via radio, web, and social media.” WUKY strives to meet these goals by producing 11 daily newscasts, three weekly features (Business Side, Local Music Monday, Dr. Greg Davis on Medicine), other regular features (Bookmarks, Saving Stories), and in-depth news reports, with a special focus on equine issues which are of paramount importance to our community. Although we have only one full-time general assignment reporter, his primary responsibility is to report on state government from Frankfort. For two out of the last four years (since being promoted to full-time status), he has won the KY Associated Press award for best radio news reporter. This year WUKY won seven KY Associated Press awards (including 5 first place awards): Best Anchor, Short Newscast, Political Coverage, Special or Documentary, Sound, Sports, and Long Light News Feature. 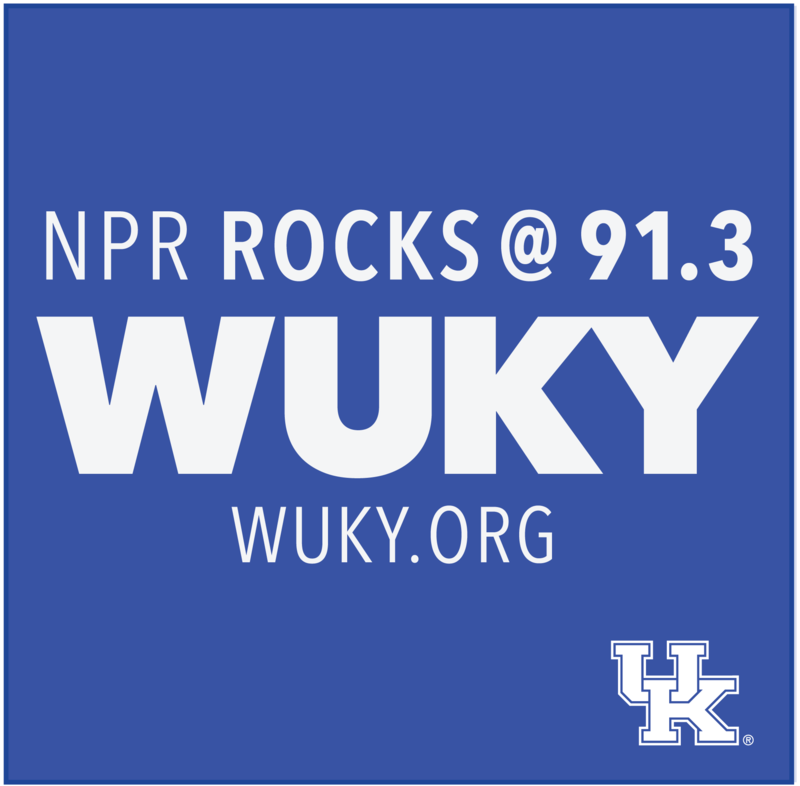 WUKY’s award-winning news coverage is available over the air (91.3 FM), online (wuky.org), NPR One, and via social media. WUKY’s education services include providing journalism training to area high school and college students via our internship programs, studio tours for Lafayette High School music business students, and an ongoing partnership with the journalism instructor at Dunbar High School. In person engagement and partnership support are addressed below under item #2. Public media partners: WMKY (news exchange), Lexington Community Radio (ongoing support & consultation), Kentucky Public Radio (statewide underwriting coop), KET (Kentucky Writers Hall of Fame induction ceremony broadcast), CKRE (subcarrier, engineering support and Casino Night sponsorship). Business partners: Lane Report magazine (weekly business segment/podcast), Lexington Farmers Market (weekly Farmers Market report), Kentucky Theater (Summer Classic Film Series), Kebco, Inc., Stewart Perry of State Farm Insurance and UK Federal Credit Union (backpack program). Government: Lexington-Fayette Urban-County Government/LFUCG (emergency communications). WUKY won the Community Service award at the 2017 Lexington Music Awards. Oxford American magazine sought out WUKY as a partner for their annual music issue, which this year was devoted to Kentucky. WUKY provided OA with a wealth of information about music in KY and helped identify & secure sponsors for the music issue. WUKY’s December fund drive partnership with God’s Pantry filled 1500 backpacks with food for poor children in region--three times last year’s total. Central Music Academy received 45 donated instruments and other useful items, the most since we began musical instrument drives on their behalf several years ago. Donations this year included six guitars, three trumpets, three clarinets, two euphoniums, and four drums for use by underprivileged children. FY17: WUKY brought StoryCorps to Lexington, and recorded a wide array of conversations with minorities, immigrants, and other diverse people. All were archived locally at the University of Kentucky as well as the Library of Congress. Many were broadcast as a weekly feature on WUKY during the late spring and early summer. WUKY News provided in depth coverage of multiple campus events addressing racial unrest at the University of Kentucky; interviewed local author Crystal Wilkinson about her new book The Birds of Opulence; and previewed the Black and Blue forum on race and policing. On the Key Conversations radio series, a variety of minority/diverse audience issues were addressed, including the University of Kentucky’s search process for a new Vice President of Institutional Diversity, the search for a new President of Kentucky State University, activist Sarah Williams on the recent National Women’s Marches in Washington D.C. and in Lexington, entertainer Ben Vereen on his upcoming performance in Danville, the complicated racial history of Lexington’s Hunt Morgan House, an interview with local Hip-Hop artist Devine Carama, African-American contributions to the horse racing industry, Community Action Council’s Malcolm Ratchford on how the agency helps minorities in Central Kentucky, how Lexington’s Social Services Agencies are handling the opioid epidemic, the resignation of Urban County Councilwoman Sasha Love Higgins following a high-profile financial scandal, and coverage of an ongoing legal case involving an African-American student and a Fayette County Public Schools’ staff member. FY18: WUKY’s management and news department meet regularly with government, community, and business leaders to determine which issues are of significant community interest and provide appropriate news coverage. This year we will make a special effort to renew our partnership with United Way of the Bluegrass to further expand our reach into the Central Kentucky community. WUKY will continue to broadcast the Key Conversations series and cover significant news stories affecting Lexington’s minority communities. Nearly 10% of WUKY’s operating budget comes from CPB, which funds a key staff position (Programming & Operations Manager) and enables WUKY to produce or acquire many local and national programs, including those that serve minority and other diverse audiences. Without CPB funds we would have to eliminate the Programming & Operations Manager position, which would severely impact our ability to provide daily programming on our analog, HD, on-demand, mobile, and web channels. Indeed our non-analog services would have to be shut down or drastically reduced in the absence of CPB funds. Perhaps most significantly, we would be unable continue to expand our news department, as currently planned, to address the growing community need for local journalism both on radio and online. In addition WUKY would lose the blanket licensing CPB provides for music rights and audio streaming, which we could not afford to negotiate or pay on our own.